Dramatic volatility in worldwide financial markets contributed to a somewhat perplexing apartment-building market here at home. 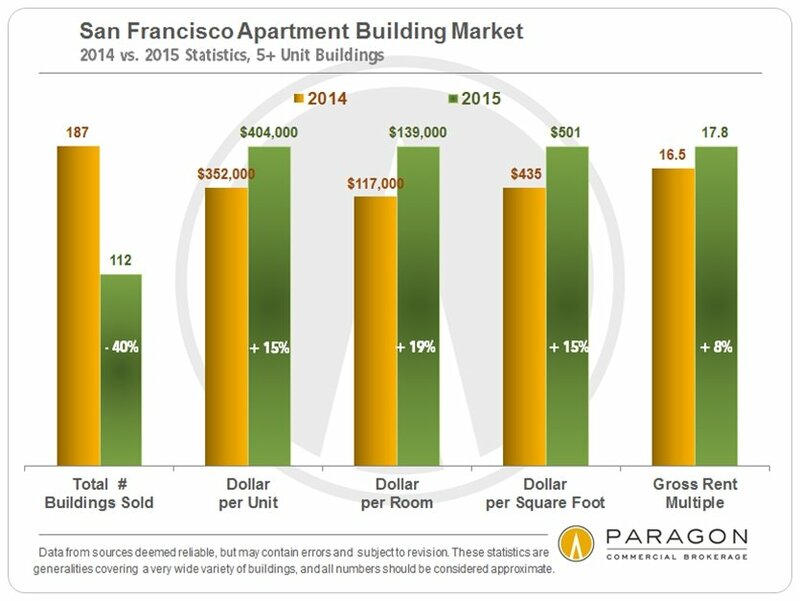 That’s according to Paragon’s current San Francisco Bay Area Apartment Market Report, which was released last month. As you’ll see in the chart that accompanies this post, there was a small drop in the sales of smaller (2-4 unit) apartment buildings during 2015, something that was mirrored in the single-family home market. A more significant drop, however, was seen in the sales of larger (5-plus unit) investment properties, which reflected more of a decline in portfolio sales as well as an increased reluctance of owners to sell than any real decline in buyer demand.